In 2001 Clara & Damian Harris were overjoyed to be expecting their first child. They had dreams of raising their child on the family farm in Binnu, Western Australia. Never did they imagine that the next 19 years would actually be filled with intensive applied behavior therapy, main stream school, severe depression, special needs schooling, dreams of being eaten by sharks and bureaucratic bungling. What’s the difference from one pencil grip to another? 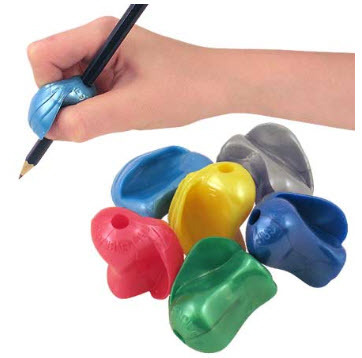 There are many different pencil grips that have been designed to assist children to hold their pencils in a functional way. It is important that the right pencil grip is selected for the child’s individual needs. This is assessed by an Occupational Therapist. The use of the grips must also be closely monitored to ensure the child is using it correctly.